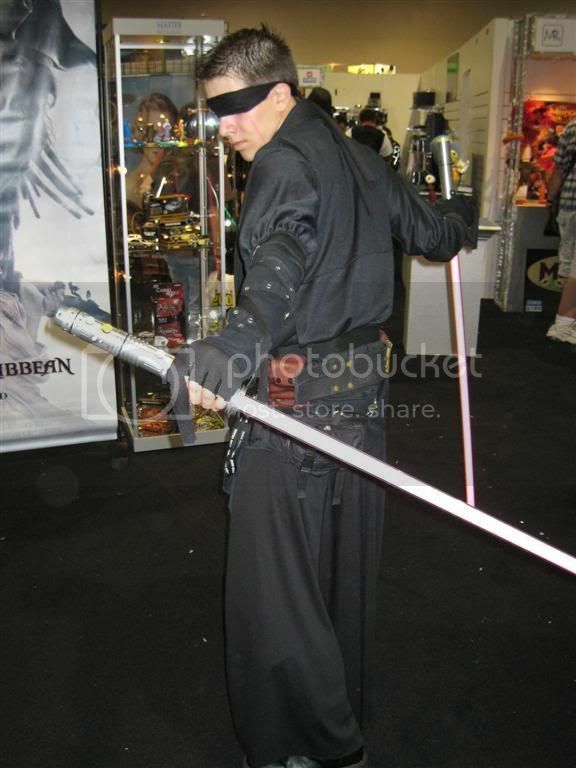 There were more than enough Star Wars, Star Trek, and manga costumes at Comic-Con that each, respectively, should qualify for its own gallery of photos here on Great White Snark. But only one of those deserves its own gallery. Heh. 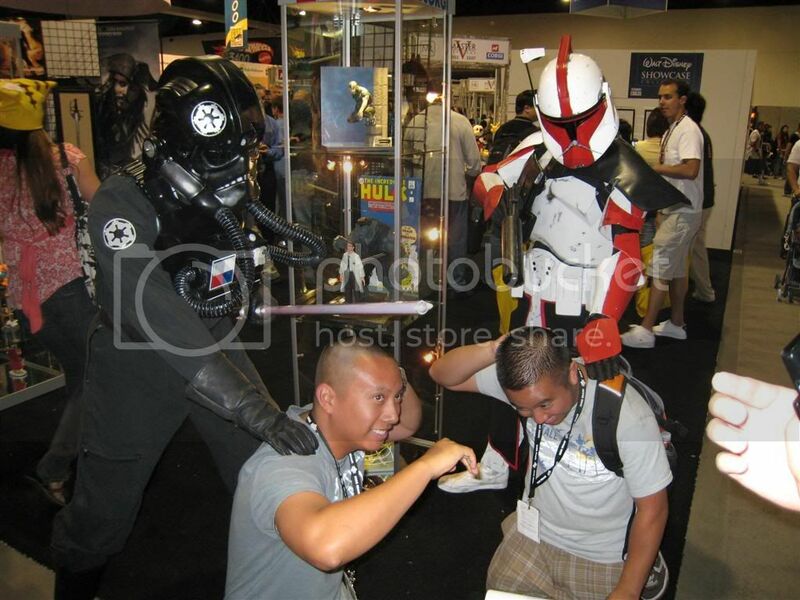 Next year my goal is to get a shot of a Stormtrooper flipping off an unsuspecting Klingon. For now, you’ll have to settle for enjoying this evidence of the vastly-superior creativity of Star Wars fanboys (and -girls). Look! 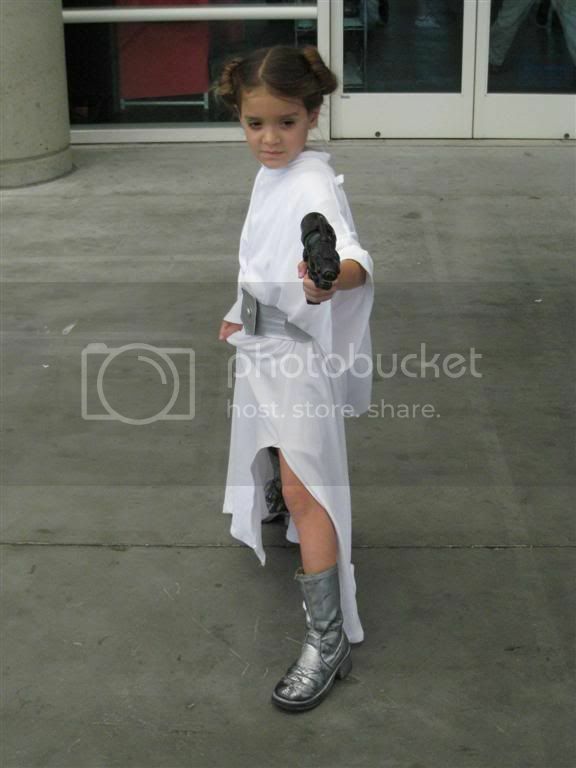 A Stormtrooper midget. 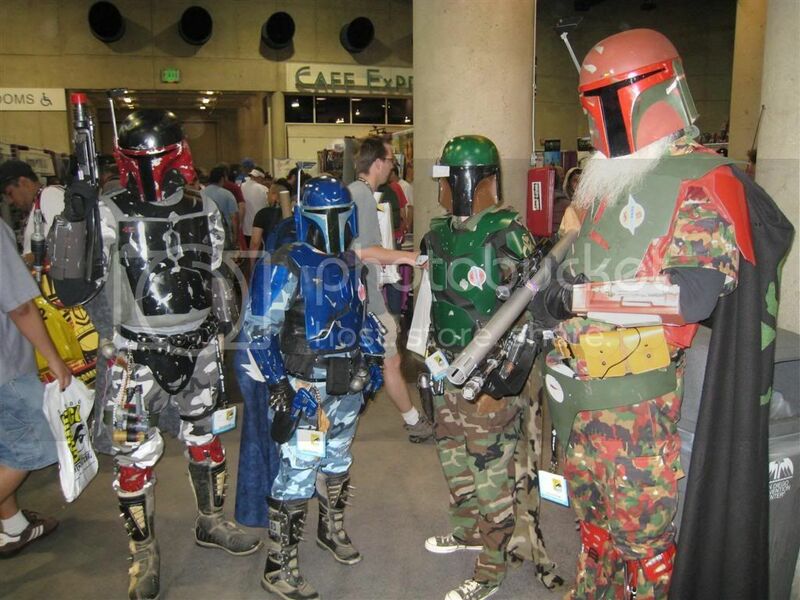 They just don’t make clones like they used to. 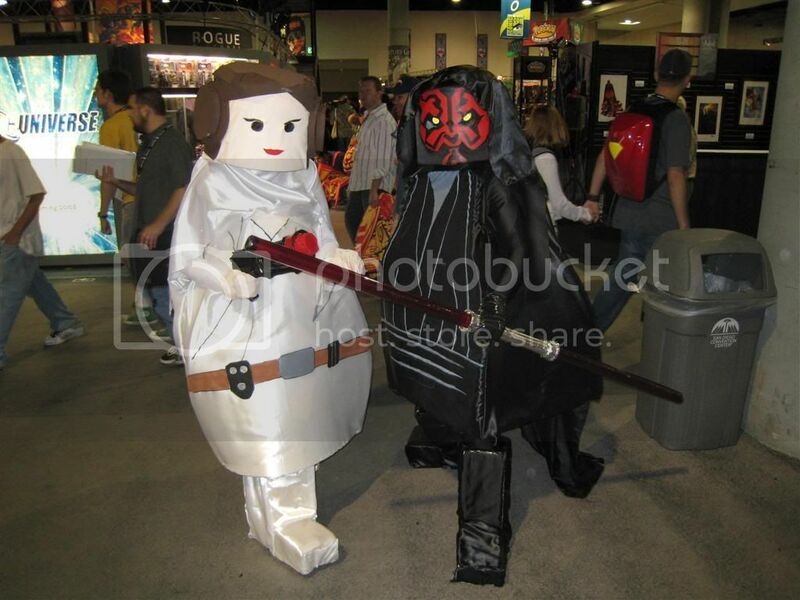 LEGO Star Wars characters. Soon to be lost in the cushions of some kid’s giant sofa. Note to self: Don’t mill through a crowd of 100,000 people wearing a blindfold. 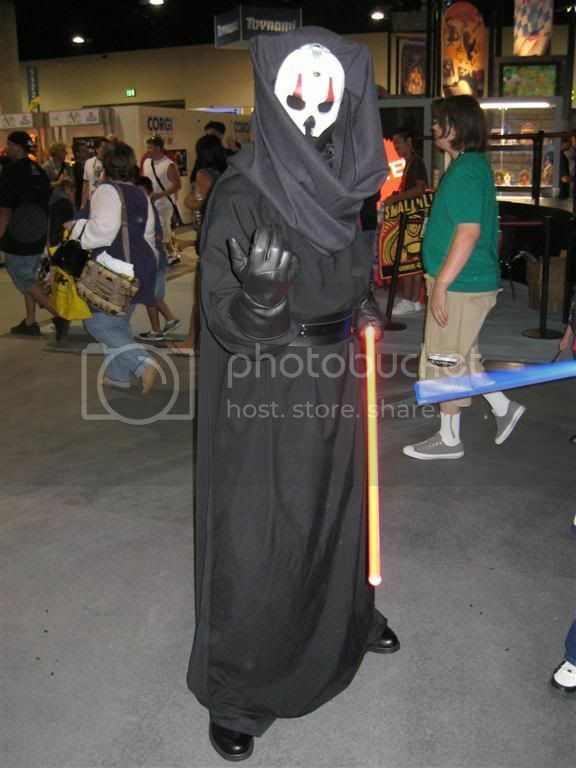 Eventually, you will hit a hapless photographer in the face with a plastic lightsaber. 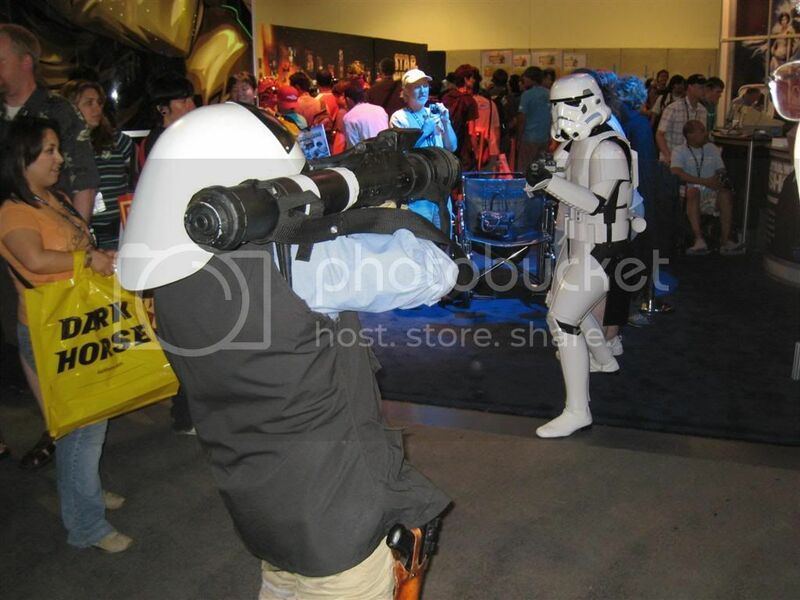 Recreating the scene from Star Wars where the rebel soldier blasted a Stormtrooper with a rocket launcher. Oh, wait. 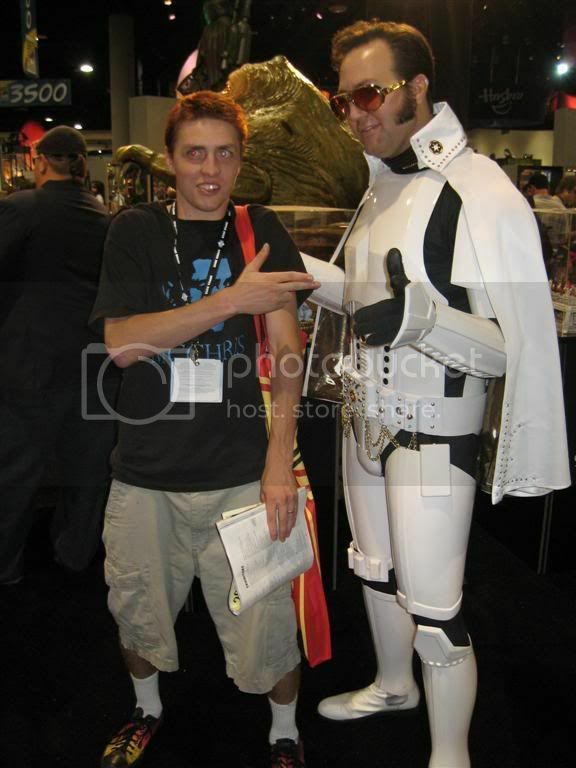 What Comic-Con needs is ‘Fat-Elvis Stormtrooper.’ For authenticity’s sake. 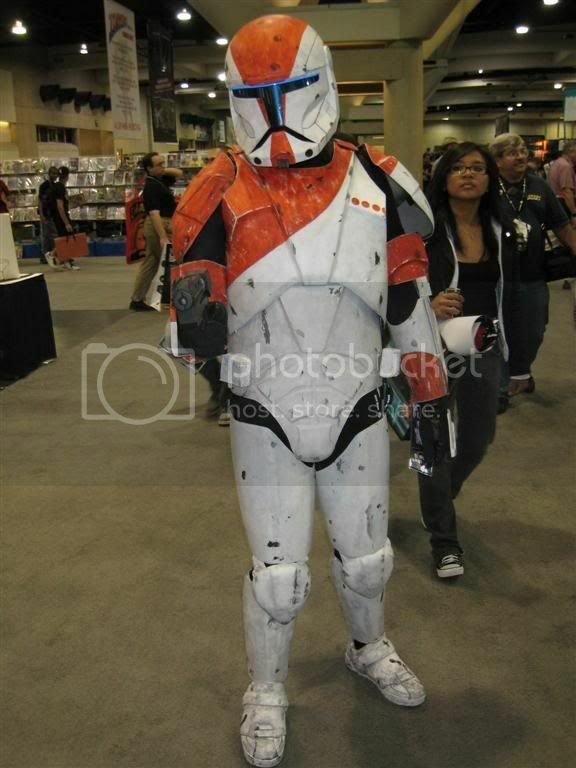 Obviously this roughed-up Stormtrooper fought through the crowds to see Kevin Smith on Friday. All dressed up, and nowhere to go. In a Tie-Fighter. 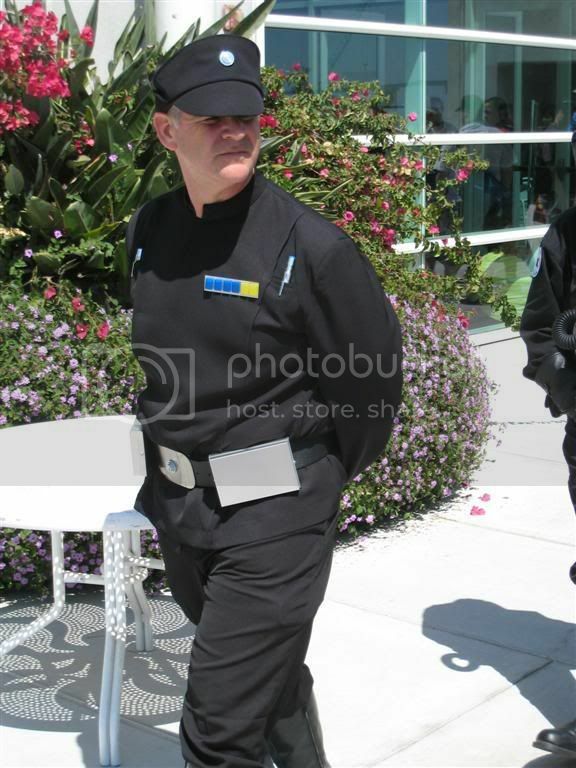 What is that on his belt? 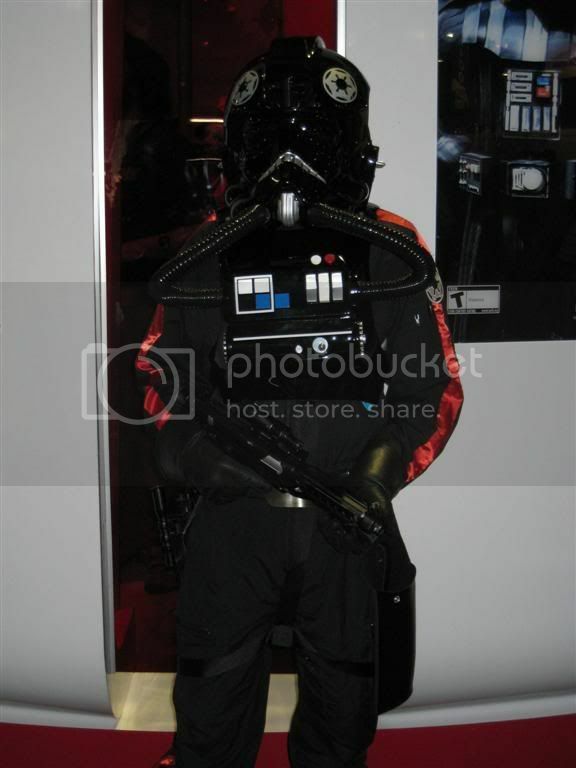 Is he keeping the garage door opener to the Death Star in that thing? Is he Han Solo, or a Battlestar Gallactica reject, circa 1979? Where do you put a picture of yourself and a slave Leia? On the mantle, right next to your replica lightsaber? LOL @ the captions. All of those are really well made and it was nice to see some costumes from the games and novels and not just the movies themselves.